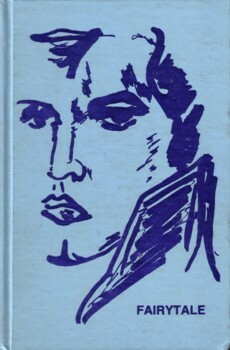 One of the most elusive publications in the annals of Elvis literature is The Presley Commission Report into Elvis' "alleged" death on August 16, 1977. 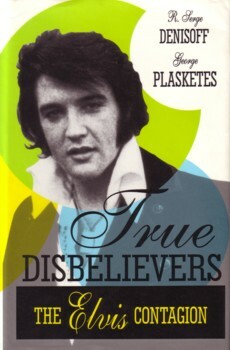 The Presley Commission was a group of interested individuals with a variety of technical and non-technical backgrounds who came together to make a detailed investigation of the circumstances surrounding Elvis' alleged death. The Commission apparently included Phil Aitcheson (Director), Gail Brewer-Giorgio, Monte Nicholson, Bill Beeny, Luc Dionne, and Deborah Wines (dec.). The following extract is from The Presley Commission Report. Even if you don't agree with the Commission's finding that Elvis did not die in August 16, 1977, the timeline and notes make for a greater understanding of events on that day. Some of the notations will undoubtedly generate debate. b. At 4:00 AM Elvis called Billy Smith and Billy's wife Jo to join him and Ginger on the racquetball court for an hour's knot on his leg, with his racket during the game. This injury was severe enough to leave a mark on his leg. No mark was noted in the alleged autopsy. c. At 5:00 AM, Elvis sat at the piano in the lounge area of the racquetball building and sang some songs after the game. d. At 6:00 AM, Elvis and Ginger went up to his bedroom where he changed into his pajamas (powder blue by most reports), watched TV and read. e. At 8:00 AM, Elvis told Ginger he was going into the bathroom lounge area to read. Note: The bathroom has its own back entrance that leads downstairs. f. Between 8:00 and 8:30 AM, Elvis calls Dr. Nichopolous at his office, for some sleeping pills, and although he was not there he spoke with the nurse. Nurse Tish Henley instructed her husband to take a couple of pills to be given to Elvis' Aunt who came by, placed in a small envelope, to give to Elvis. g. At 9:30 AM, Elvis left the bathroom and went downstairs at which time he signed for a special delivery letter from Paul Lichter. 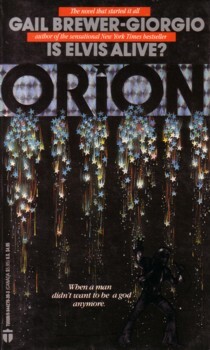 h. At 10:00 AM, Elvis was seen retrieving his newspaper from the porch. i. At the very least, three hours transpired before the reported time of the body having been discovered. j. Between 2:00 PM and 2:30 PM, Ginger Alden awakens, making some phone calls, and then remembers Elvis having gone into the bathroom/lounge area earlier to read. k. At 2:30 PM, Ginger claims she discovered Elvis' body in the bathroom/lounge area on the floor in front of the commode, where he was purportedly reading, according to police notes. The body was found in a "kneeling" position, with the knees almost touching the chin, resting on the forearms, bent under him, head down, with his face in the carpet.Ginger called down to Al Strada, Elvis' friend/employee who was in the kitchen. Al came upstairs, then called downstairs for Joe Esposito, Elvis' friend and staff manager. Dr. Nichopolous was called. Joe, realizing a problem with Elvis and also noticed that Rigor-Mortis had set in, he called the Fire Department, Rescue Unit # 6. Joe and others rolled the body over and then he (Joe) started CPR. l. At 2:33 PM, Rescue Unit # 6 arrived at Graceland. The medics continued CPR, despite the body being Rigor-Mortised and with Lividity. m. At 2:48 PM, the body was transported to Baptist Memorial Hospital. n. At 2:56 PM, the alleged body of Elvis Presley arrived at BMH, reportedly DOA. (Dead on arrival). o. At 3:00 PM, family and friends were told that Elvis was pronounced dead. 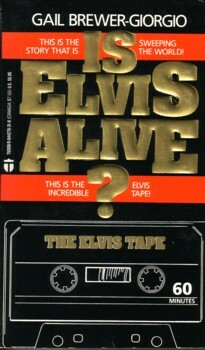 p. At 3:30 PM, the fans and public were told that Elvis had died. q. At approximately 7:00 PM, the body was being prepared for an autopsy. r. At approximately 7:30 PM, the initial body inspection was completed. Note: The body inspection is when the Medical Examiner does an external viewing of the body, making notations as to the condition of the body, noting any signs of injury, etc. s. At 8:00 PM, Dr. Nichopolous and Dr. Francisco, the Medical Examiner for Shelby County, were interviewed in a press conference. 1. For a 10:30 PM appointment, Elvis returns at 12:30 - 1:30 AM. There is a two to three hour dentist appointment. Was there other business for Elvis to complete, other than having teeth cleaned and a filling tended to? 2. Why would Elvis wear his DEA jogging suit to the dentist? In the normal course of any law enforcement personnel, Officers, Deputies, Troopers or agents don't usually wear uniforms, fatigues, or other official clothing while "off duty". 3. If a filling was tended to, and Elvis had his teeth cleaned, one would have to presume thatsomething was given to him for the pain. This would more than likely be Novocaine and/or some other pain reliever during and after the dental procedure. Why did he have such energy, if he was experiencing pain from the visit to the Dentist. 4. Why on August 15, did Elvis decide that he needed the dental work done right then? Elvis knew the concert tour was about to begin. Elvis had plenty of time prior to the 15th to tend to the dental work. 5. A dentist is also usually very careful on doing dental work on a patient with any known heart conditions. The dentist will usually start an antibiotic prior because of the possibility ofinfection getting into the system during the procedure. How did he get in to see the Dentist without prior antibiotic treatment. If the alleged heart condition was charted, antibiotic treatment would generally be required. It may be that there wasn't any heart condition! 6. It was noted as interesting that the amount of energy Elvis had to play racquetball, and sing, after a dental appointment, causes some to question the possibility of pain or discomfort effecting him. In much of the research there are indications that Elvis relaxed by playing racquetball and singing. What had him so uneasy? It is probable that he had some anxieties about the great change that was about to occur in his life. 7. There are conflicting statements about Elvis' pajamas that he changed into when he was getting ready for bed. The reports signify a color difference. Some reports state that he was wearing powder blue pajamas, some state that the pajamas were blue top and gold/yellow bottoms. Ginger Alden, who was with Elvis when he changed into his pajamas, was up until he went into the bathroom to read, indicates he was wearing powder blue pajamas. All reports from those who observed the body in the bathroom, indicate that the pajamas were blue tops and gold bottoms. Could this indicate the person who was wearing powder blue pajamas was not the body in the bathroom? 8. Elvis left the bathroom/lounge area and went downstairs to sign for a special delivery letter from Paul Lichter. Did Elvis expect the letter to arrive at a particular time? Why did he sign for it himself, when so many others were available to sign for him. 9. Why was the mail carrier different that day from the usual carrier? The signature on the receipt was not that of the usual carrier. In an interview with a supervisor at the Post Office, the name on the return slip wasn't even recognized as a regular employee. Who was this carrier, and who did he really work for? The commission contends that the carrier was someone who was selected to drive the mail vehicle. No one would ever suspect a mail truck coming and going from Graceland at that time of the day. 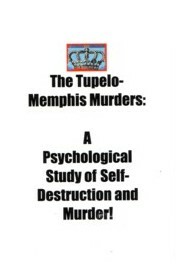 The theory being that a body was brought in and Elvis was taken off of the property. 10. The contents of the letter to Elvis read as a loving "goodbye". Was the letter sent special delivery to insure Elvis received it before he left? This would assure him that he would always be loved and cared about, especially for the person he really is. 11. At 10:00 AM, Elvis was seen picking up his own newspaper off the porch. His presence was made obvious to others. If he had taken more sleeping pills, why was he still awake? It is probable that the pills were not taken by him. The call to Dr. Nichopolous may have been to offer a clue to show time factors and/or to let the Doctor know he was ready for the plan to be executed? 12. 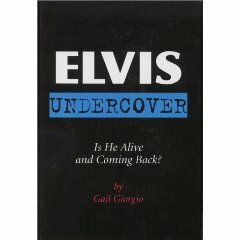 Between 2:00 PM and 2:30 PM, Ginger stated that she awakened and proceeded to make some phone calls then remembers that Elvis wasn't next to her? How could she not notice if Elvis was in the room with her or not. It is thought that she was more concerned about the phone calls she was making than to check on Elvis first. Did she know about the plan? Was she told to discover a body at a certain time? In the mention of a helicopter being seen at Graceland on the 16th, was this aircraft used to remove the manpower utilized in the removal process, acting as a deterrent? 13. Between 2:00 and 2:30 PM a body was found. Many have stated that it did not appear to be Elvis. The body was described as being fixed Rigor-Mortis and with lividity. The positioning of the body was a significant clue, inasmuch as the body could not stay in the fetal position as so described. Muscles tend to relax at the time of death, as the process of Rigor and Lividity set in. 14. 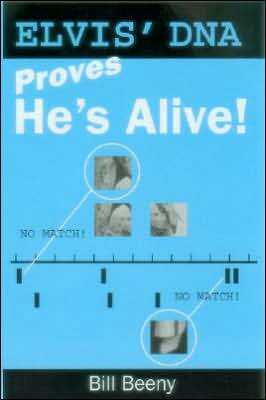 A body that is in "fixed Rigor-Mortis and Lividity" is considered obvious death. A medic knows you do not do CPR on a body in this state. Anyone working on the body would not have had easy access to the chest area without first breaking the Rigor which is not easy and is not really probable. How could anyone get an open airway to give artificial respiration. The jaw is "fixed" shut and you can't bend the head back to open the airway. The fixation of Rigor and Lividity would have taken 8 to 12 hours according to medical advice presented to Commission personnel in recent interviews. It is also stated that when the body was rolled over onto the back, a breath was heard. This is a normal in almost any incident involving a death. It is the change in the positioning of the body causing expulsion of any air left in the lungs, or the movement of the body might cause an intake of air, sounding like a breath. 2) Sitting in a chair in the lounge area. In considering the commode theory, why wouldn't Elvis press the intercom if he needed assistance? 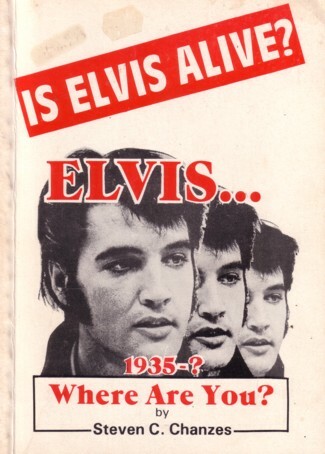 If he were sitting in the chair, why didn't Elvis pick up the phone and summon for help? In either case Elvis would realize that something was wrong, or that he was not feeling well. It is human nature to "survive". 16. In recent interviews with individuals who were on the scene, why did Dr. Nichopolous purportedly order "no drugs" were to be administered for revival purposes? Did he already know it wasn't really Elvis? Was it someone who was already under his care, playing a pre-determined role in an intricate plan? 17. Why did the medics leave Vernon there? Weren't they realistically afraid of the stress on Vernon, especially knowing he had a history of heart problems, as well as a recent heart attack. Why would he not go to the hospital with his only son? Was it because he knew that it was not his son? Who really went to the hospital that day? Who was the donor? 18. Why did Joe and Dr. Nick identify the body? Why not a next of kin, as done on a regular basis? 19. In the final analysis, how did the father of Elvis Presley do a radio interview two hours after the death report in a very calm and unemotional state?